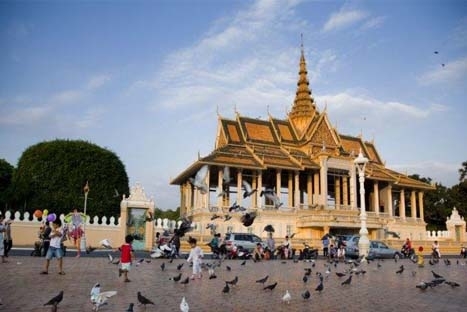 Discover four of Phnom Penh's finest cultural and historical attractions: starting from Wat Phnom and the beautiful Royal Palace, the trip continues to the National Museum and the Silver Pagoda, so named because of its floor that comprises 5,000 silver tiles and topped by a gold Buddha encrusted with 9,584 diamonds - arguably the most beautiful pagoda in the city. 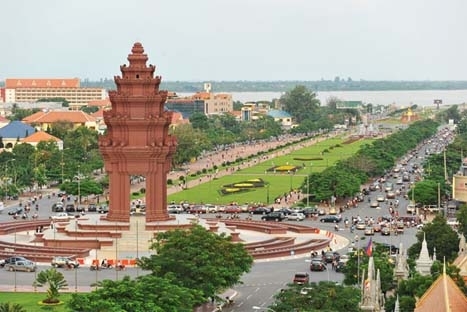 Begin your tour of this charming capital with a visit to the city's namesake, Wat Phnom. Founded in 1373, the pagoda was built to house Buddhist relics washed ashore by the river. Visit the Royal Palace built in 1866 by King Norodom. See the different structures of this pagoda-style compound and stroll in its beautiful garden. Visit the Silver Pagoda so named because of its floor that is comprised of 5,000 silver tiles. A gold Buddha encrusted with 9,584 diamonds and a small 17th century emerald and baccarat crystal Buddha are also housed here. Note: National Museum, Silver Pagoda and Royal Palace are open every day. However, the Silver Pagoda and the Royal Palace may be closed without prior notice while H.M. the King is in the residence.